I was able to talk the hubby into holding my quilts for me so I could photograph them. 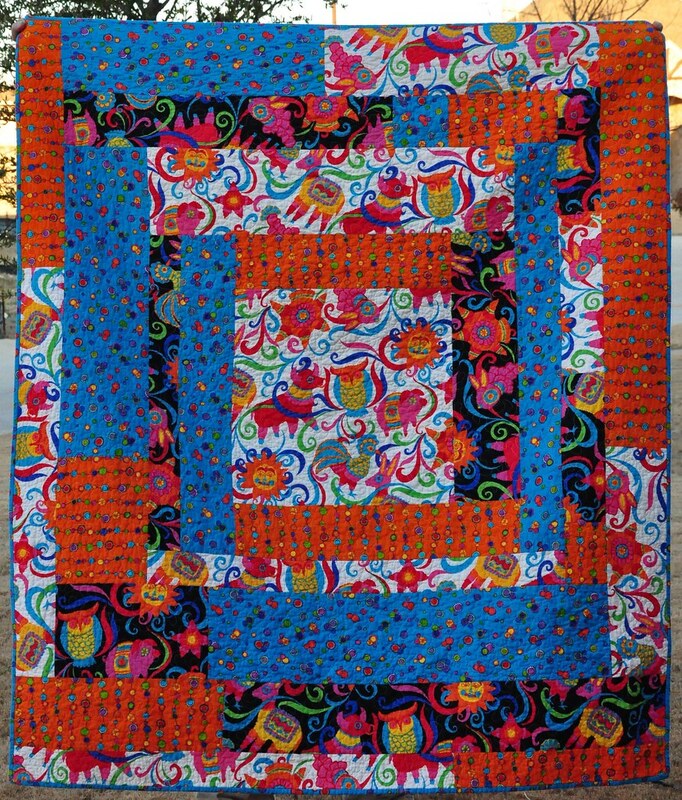 I finished this first quilt earlier this year, but haven't taken a photo of it finished. 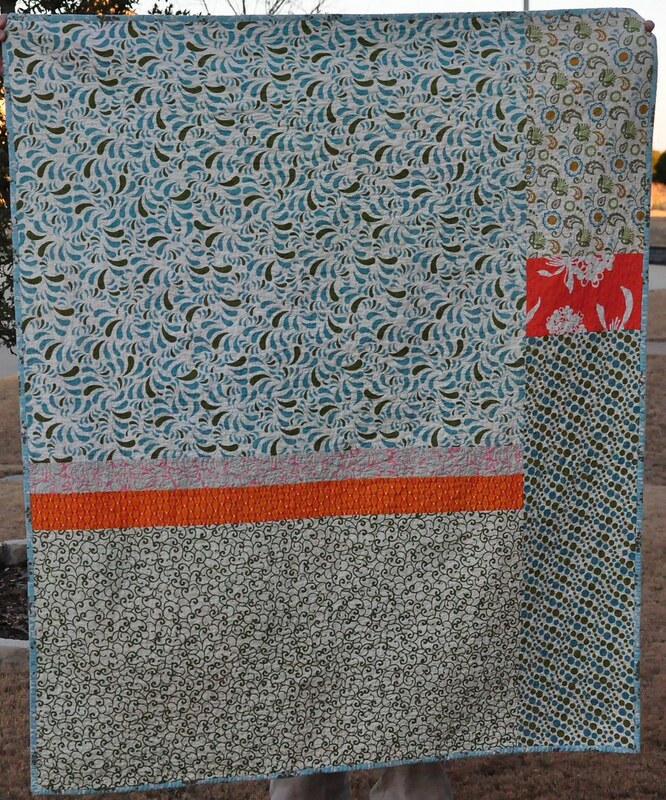 It was my first quilt-along project, hosted by Amy at a commonplace life. It's a little on the crazy bright side, but I was afraid to try the technique on any of my prized stash, so this is what I came up with from fabrics I had on hand. 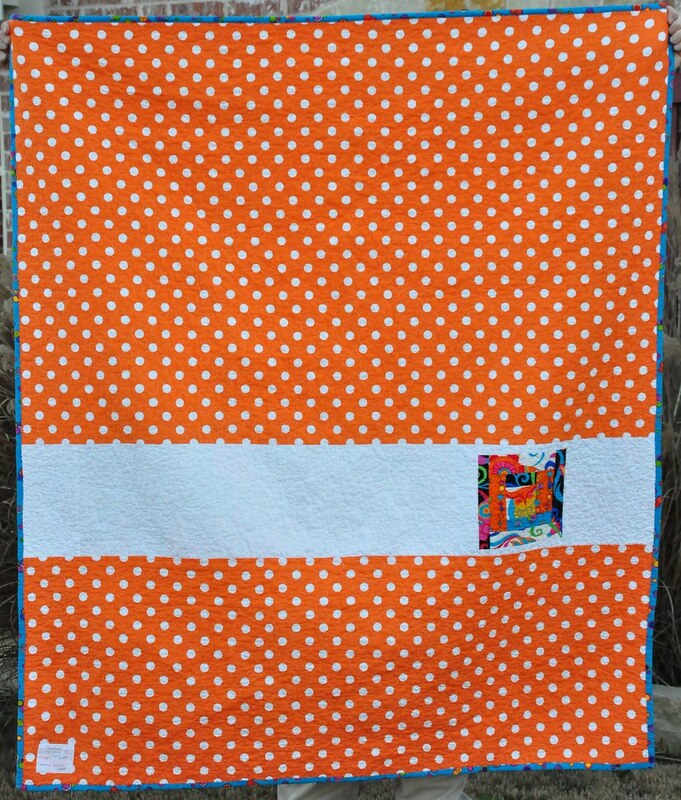 Here's the finished pinata quilt. It was a hit, Shea loves it. I love the back. I finished quilting the scrappy log cabin today, it just needs a binding! those orange dots! Love love love! 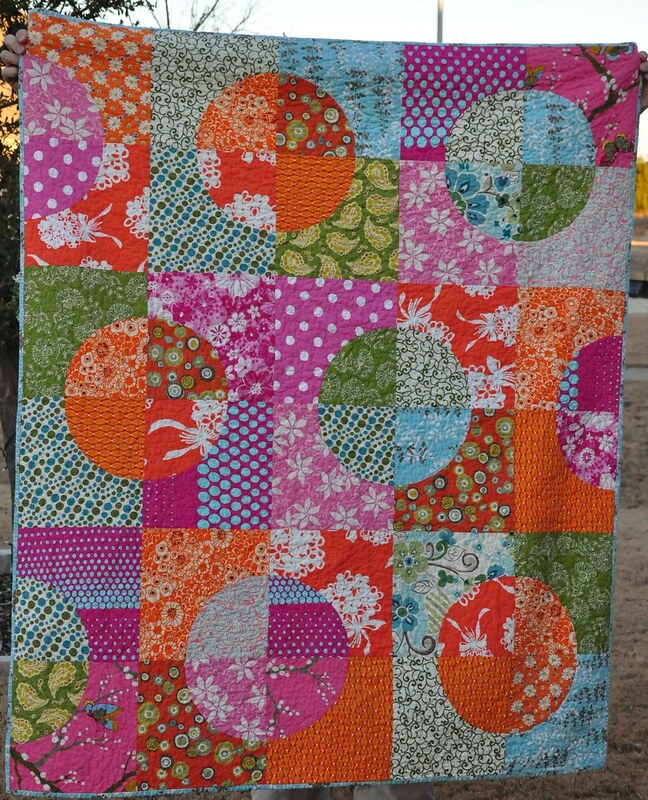 I have been eying up that quilt along of Amy's but circles scare me! great quilts!! i love the pieced backs! Love the circle quilt. The colours are so vibrant. I'm inspired. What a busy bee! I love the bright colors. I just managed to convince my husband to help me photograph some quilts today too.